brooke: Traveling in Spain, ten years later: an excerpt from a journal entry I wrote lying on a beach in Barcelona this fourth of July. Traveling in Spain, ten years later: an excerpt from a journal entry I wrote lying on a beach in Barcelona this fourth of July. 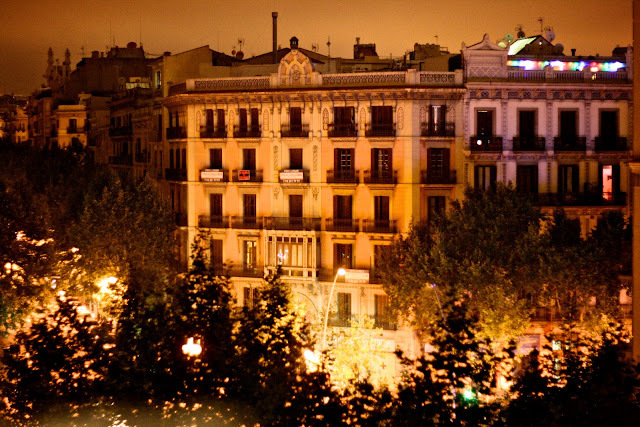 The summer after my first year of college, when I was eighteen, I studied abroad in Spain. It was my first experience with international travel, and I was so naive about life then. On that trip, I drank alcohol for the first time, stayed up all night dancing, traveled to northern and southern beaches and places in between like Pamplona during the running of the bulls (where I slept outside since we didn't have a hotel room). I felt lonely, inspired, and found a contentment unlike any I had known near home that came from a sense of spending time in a different culture, exploring, and learning more about others and myself in the process. That trip ignited a spark in me to see the world and to get to know as much of it as I could. Since then, I have traveled to six of the seven continents, seventeen countries and counting, and learned so much about myself and the world in the process. Traveling taught me that I wanted to marry Matt, because being near him was so much better than being apart. I wanted to discover the world with him by my side. Traveling gave me the courage to quit my first teaching job and go back to school full time to get my master's in Peace and Justice Studies. During that year of school, traveling taught me that the most important job in the world for me was to be a high school teacher in San Diego in spite of how romantic it may seem to live in another country or do something else. And traveling has taught me the importance of a sense of home and community, because most of the time, life is extremely fulfilling just staying put and investing time into my community and friends and family. Friends and family provide a true sense of self that often can't be found in another country. Here I find myself, ten years later in that same country that caused me to fall in love with traveling in the first place, Spain. On that trip as an eighteen year old, I never made it to Barcelona, and it has been on my list ever since. Ten years later, here I am. In some ways so much the same and also completely different. I am older, wiser, more comfortable with who I am, and more content to live life as it comes instead of always seeking out that next adventure. not thanked the blog owner for those techniques. them and have in fact been tapping into them. settling on this kind of essential topics most people are really desirous to understand about. yield to your issue but hope in the near future you link the dots better. my mates. Regards; from all of us. this subject for a while and yours is the greatest I've found out till now. But, what about the conclusion? Are you positive concerning the supply? place to create this sort of excellent informative site. about my trouble. You are wonderful! Whats up very nice blog!! Guy ..
awesome guides you are placing on this website. My particularly long internet search has now been compensated with awesome strategies to exchange with my friends. I've been browsing on-line more than 3 hours lately, yet I never found any interesting article like yours. It is beautiful price sufficient for me. In my view, if all webmasters and bloggers made just right content material as you probably did, the net can be much more helpful than ever before. I mean, what you say is fundamental and everything. However imagine if you added some great visuals or video clips to give your posts more, "pop"! I am really thankful to the owner of this site who has shared this enormous article at here. 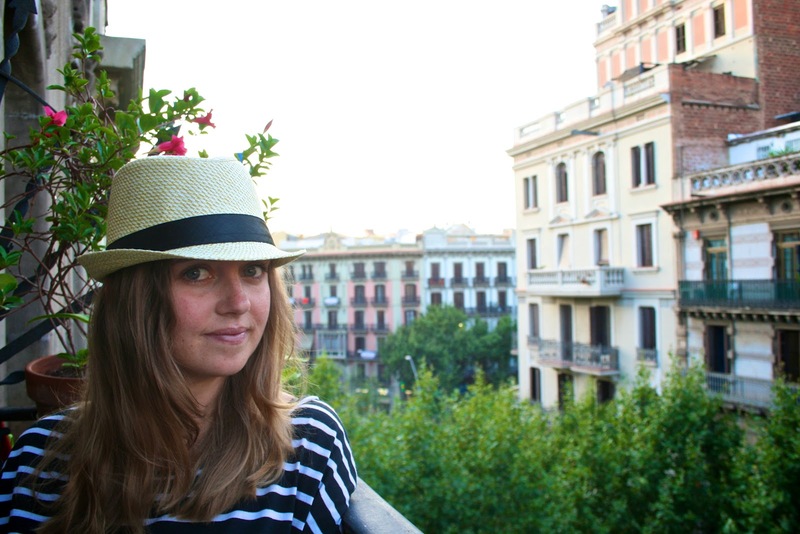 Thanks for finally talking about > "Traveling in Spain, ten years later: an excerpt from a journal entry I wrote lying on a beach in Barcelona this fourth of July." < Loved it! could suppose you are knowledgeable in this subject. Well together with your permission allow me to seize your RSS feed to keep updated with forthcoming post. It's an amazing paragraph designed for all the online visitors; they will obtain advantage from it I am sure. you would do nicely to help fill in all those gaps. I really loved the standard info a person supply to your guests? and thought I may as well check things out. I like what I see so now i'm following you. Look forward to looking into your web page yet again. particular post incredible. Magnificent process!